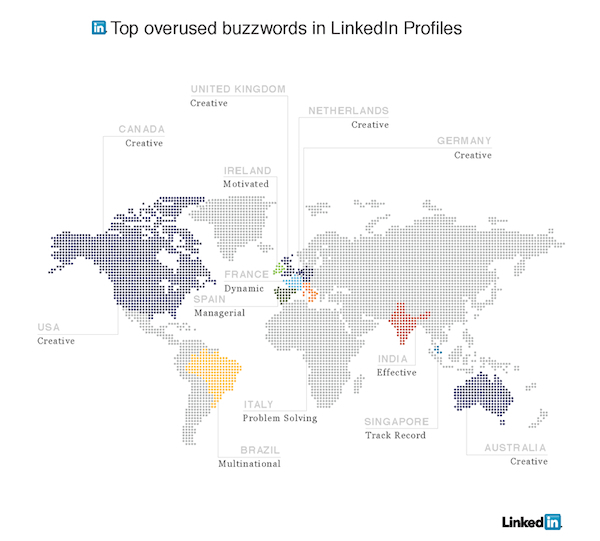 Professional online network LinkedIn today revealed the most overused words and phrases in its members’ profiles this year. In a similar study last year, buzzwords such as like “extensive experience,” “dynamic,” “motivated,” and “innovative” ranked as the most overused in various countries. LinkedIn tracks thousands of hot, up-and-coming professional skills on LinkedIn Skills. Add relevant LinkedIn Skills to your profile so that you come up in search results when other professionals need someone like you for a project, to get advice or for an open position that they have.